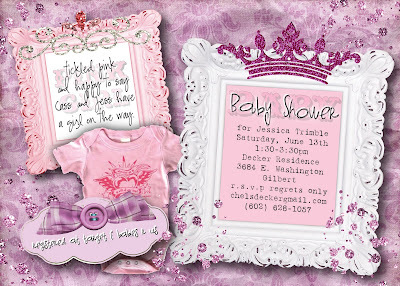 Photo Announcements by Andi: LovE lOVe LOvE girl baby shower stuff! LovE lOVe LOvE girl baby shower stuff! I miss being able to make "girly-girl" stuff. My girls do not like this look anymore - so any time I get a chance to design something like this - I will jump at the chance!!! !